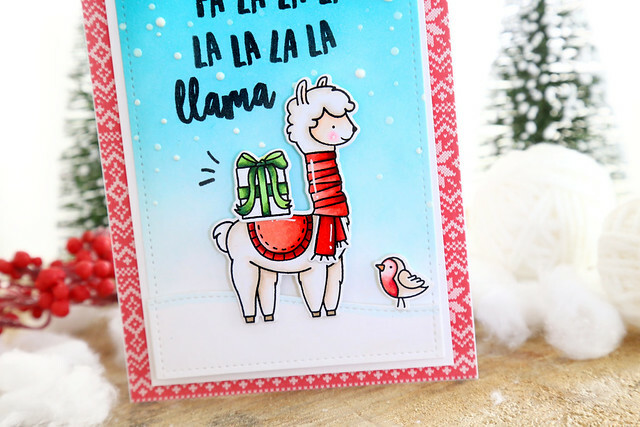 Love the llama and the scarf options you show on your beautiful card and tag! Congrats again Elena! 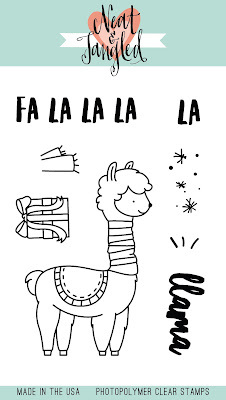 Fa La Llama is also super super cute!!! I'm in love for the cuteness of your card and tag!!! Really adorable!!! I love your card and tag. That llama is so darn cute. 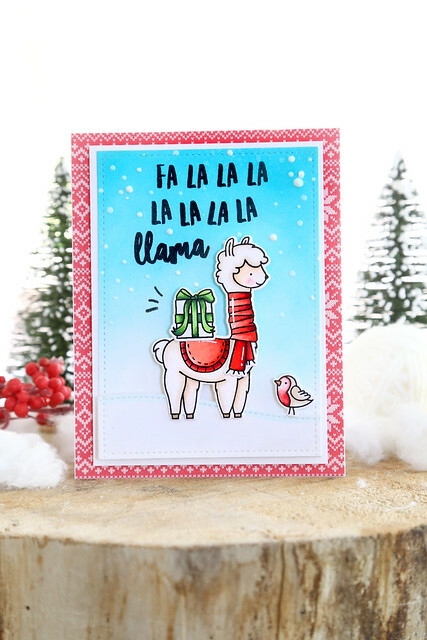 Love your Fa La Llama set! Sweet card and tag! Fabulous projects. This llama is adorable! Both your card and tag are fabulous, Elena. I think llamas are fun and I'm glad you designed this set! Your card is so bright and happy. It looks great with the red and white background paper. The tag is so cute with the snowflakes in the background. The llama stands out so well on it! Thanks for sharing your talent with all of us! Oh I love that cute llama!!! You designed the cutest llama!! Beautiful card and tag!! Adorable llama, Elena! I always love your designs. You included such wonderful images in the set. And great idea to be able to move the scarf around! Hi Elena, Love the sets you've designed, especially this adorable llama! The cards and tag are so cute. It is interesting to learn how much thought you put into the design of the scarf. It's really versatile! You've created such great stamp sets this month and your card and tag are gorgeous! What a great stamp set you created! Your card and tag are so cute! I really like that you drew the tails of the scarf separately - makes it more versatile. 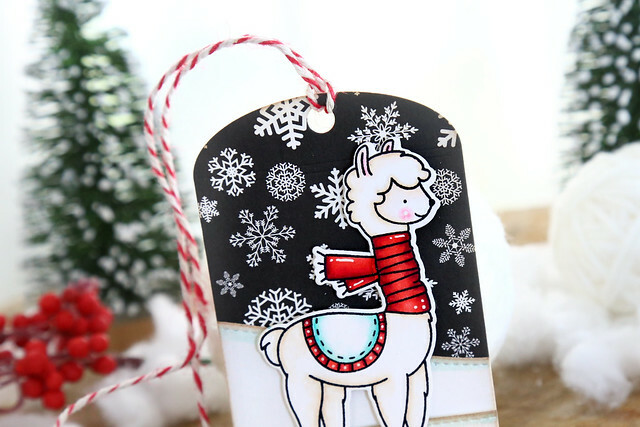 Cute llama card and tag. I like how you can change the scarf. 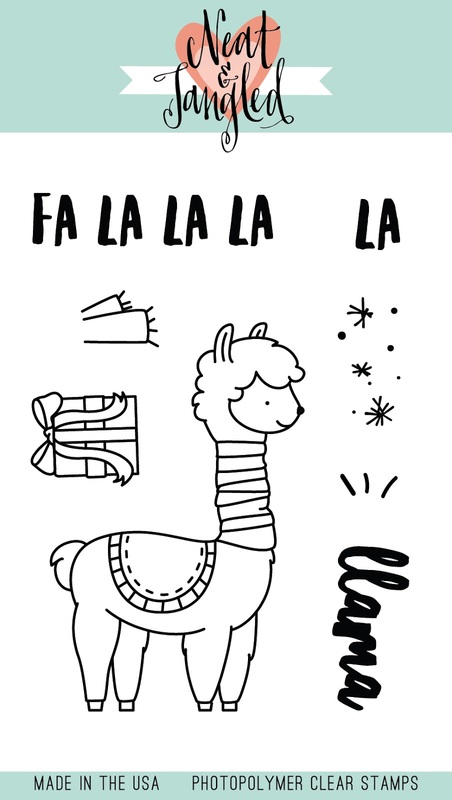 The Llama scarf on your card, it is so full of sheen. You've done some great coloring. 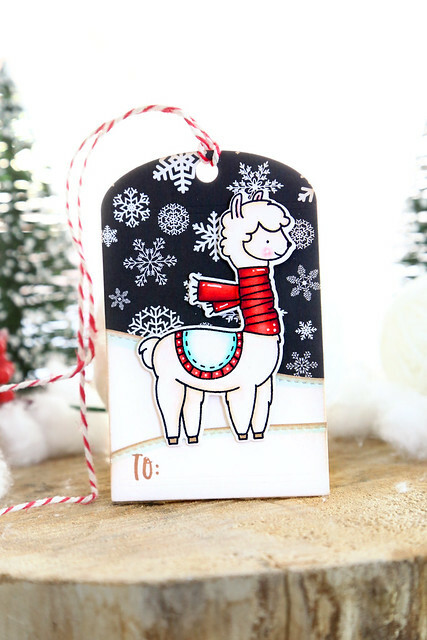 Love this cute llama you created...adorable projects. This is super cute and I love the sentiment!! Love how you created the scarf so it could be attached wherever! It looks fabulous both ways you've showed. This stamp set is so cute, Elena! Your cards too are.. love! Both of your creations are equally cute because your stamp set is great !! It was so clever to make the tail of the scarf a piece on its own !